Take an exclusive extended look at this week's issues of Lone Ranger, The Rise of Ming, and Robert Jordan's Wheel of Time! The New Green Lantern – Is He Called Baz… Or Barry? Baz, Earth’s NEW Green Lantern, battles The Justice League! Thing is, where I come from, that’s just short for Barry. Are we really going to get Barry The Green Lantern? UPDATE: And yes, I’m told Baz is a popular Arabic name, that means Falcon. And he does have Arabic tattoos on his skin. But dammit, I’m not giving up. Everyone call him Barry The Green Lantern and it might just stick. James Bond 007 is back and here's the new international trailer for his next adventure SKYFALL. When Thor gets the Marvel NOW! 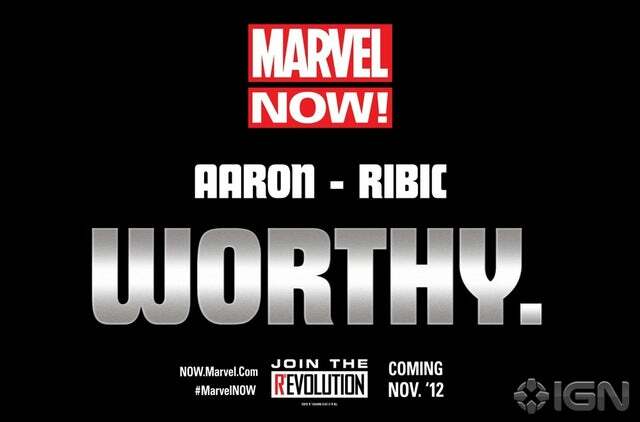 treatment in November, look for Jason Aaron and Esad Ribic to run the show. The post MARVEL NOW! : Thor rebootlaunchnow team revealed appeared first on Major Spoilers - Comic Book Reviews and News. Think you know your Batman? 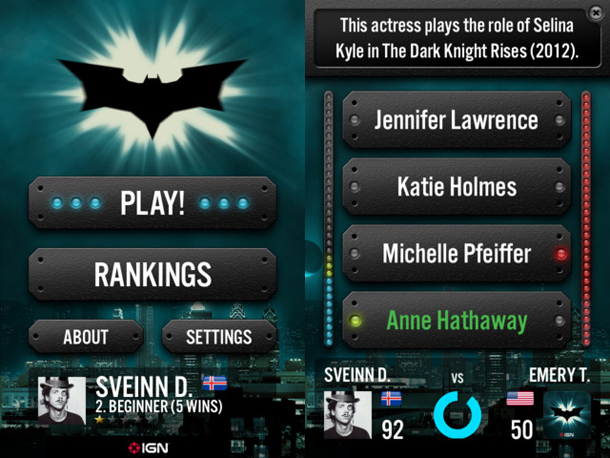 Then put it to the test with this ultimate Batman quiz game app courtesy of IGN Entertainment and Plain Vanilla Games. The free app is compatible with iPhone 3GS, iPhone 4, iPhone 4S, iPod touch (3rd generation), iPod touch (4th generation) and iPad.Requires iOS 4.0 or later. Download it now at Apple iTunes! After teasing the new Iron Man creative team yesterday, Marvel is continuing the slow information drip with a new teaser for what we presume is a new Thor series. Jason Aaron? Esad Ribic? I'll bite. I would expect more of these kind of teasers throughout the week. 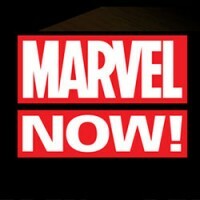 Gary Friedrich, co-creator of Ghost Rider, has filed his appeal against Marvel Comics after their court win over the ownership of the character. The case concluded with an agreement that Gary Friedrich would have to pay Marvel $17,000 because he sold signed Ghost Rider work and represented himself as the creator of the character. The appeal seems to focus on the belief that Gary Friedrich did not transfer his ownership to the company, and that the decision was based on this court assumption, and they were wrong to do so. Daniel Best, who puts up the files, adds that the existence of a Silver Surfer graphic novel from the late seventies that is copyright to both Stan Lee and Moebius, sheds doubt on assumptions made in the court case that there were no allowances made for creator ownership at the company at the time. There is also the argument of duress, that Friedrich was made to eventually sign a Marvel contract with the threat that he would get no more work if he did not so. He signed… and then got no more work. Immonen Illustrates Classic and Current X-MEN in Marvel NOW! The upcoming animated adaptation of Frank Miller's classic tale, featuring the voice of Robocop's Peter Weller as Batman.